Hello to my patient and wonderful fans! I know you’ve been asking me for an update on the film adaptation for The Bronze Horseman, and I’ve wished I could give one to you. And now, I finally can! 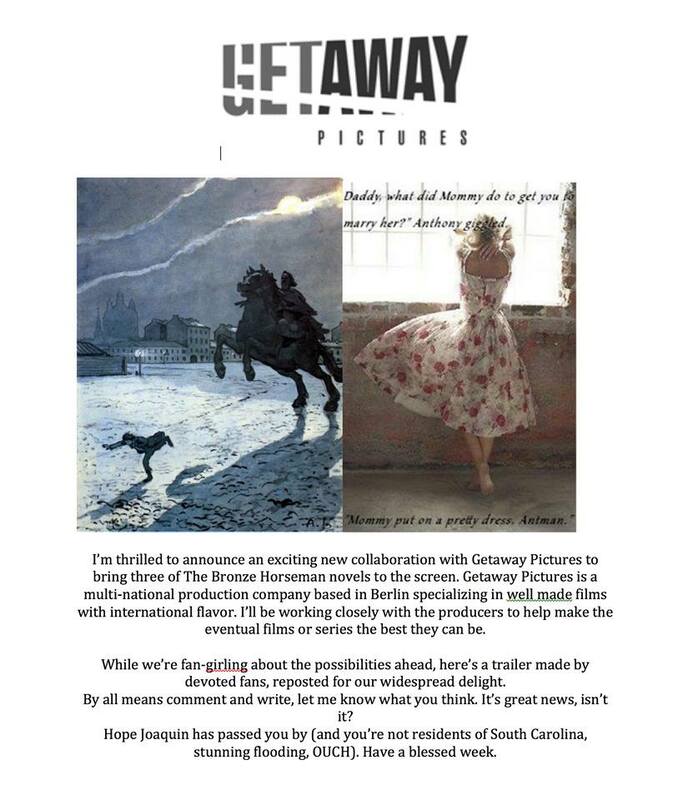 So happy to tell you we’ve signed with Getaway Pictures for the series. Here’s that trailer I mention as well.